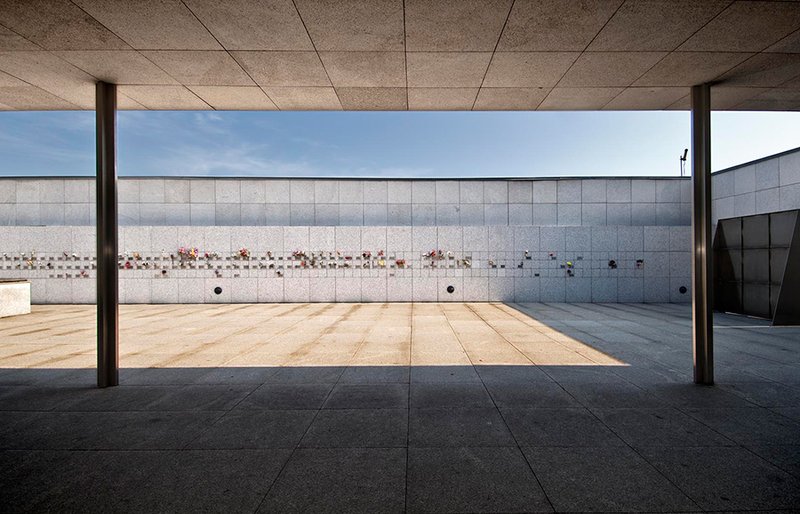 Cementiris de Barcelona recommends that the ashes be deposited in a cemetery. This is not only a beautiful natural place to the bury them, it is also specifically adapted to this purpose. 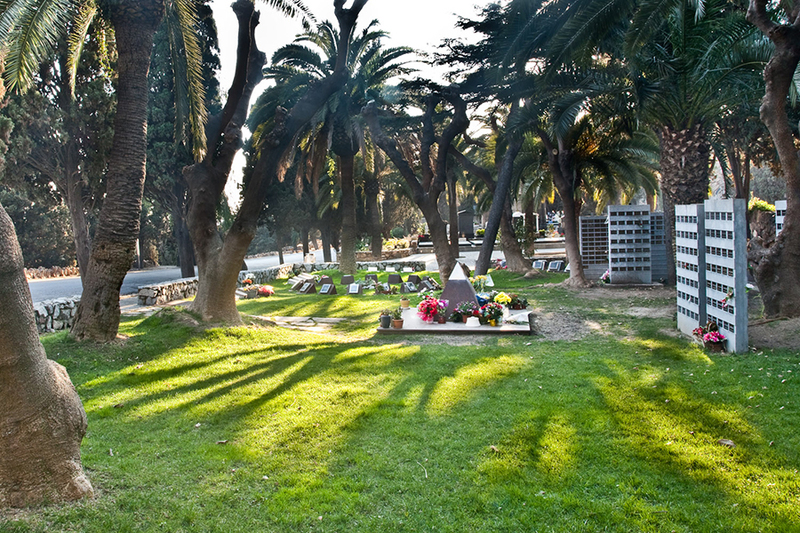 Cementiris de Barcelona offers several facilities distributed throughout the city where ashes can be buried. These are gardens in which the ashes can be deposited in a community burial pyramid. Families have the option of placing a plaque in memory of the loved one. Location: Cemetery of Montjuïc and Cementiri of Collserola. 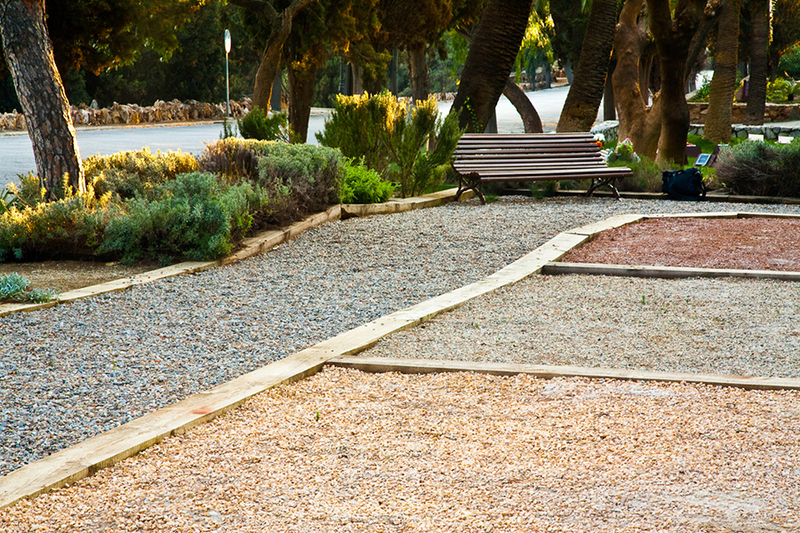 ÉThis is a space created in the cemetery of Montjuïc so that the families can scatter the ashes at no cost. The garden is formed of a big flowerbeds of coloured gravel with an automatic watering systems and small square flowerbeds, some which are typical of our natural landscape (thyme,rosemary, etc) and others appropiate for the burial of biodegradable urns. Location: Cemetery of Montjuïc, Via Sant Francesc 8ª. 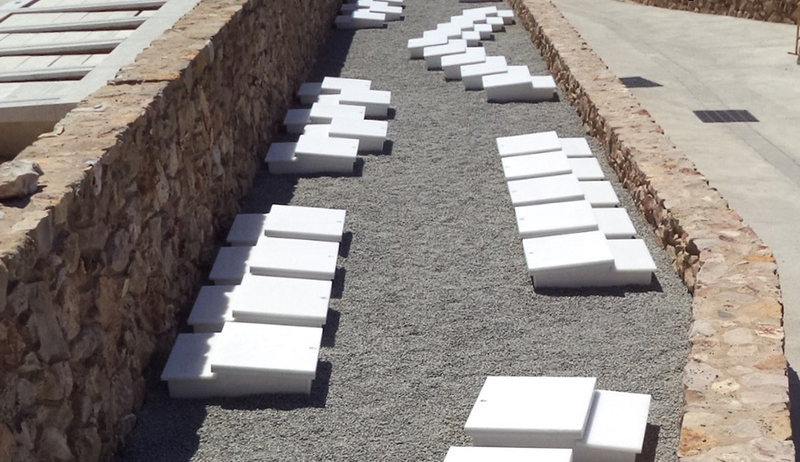 This space is a botanic garden where families can bury ashes in biodegradable urns. Once an urn is buried, a plant (lavender, sage or rosemary) will be planted over it. Location: Cemetery of Montjuïc, Sant Manel Square, Group 12th. 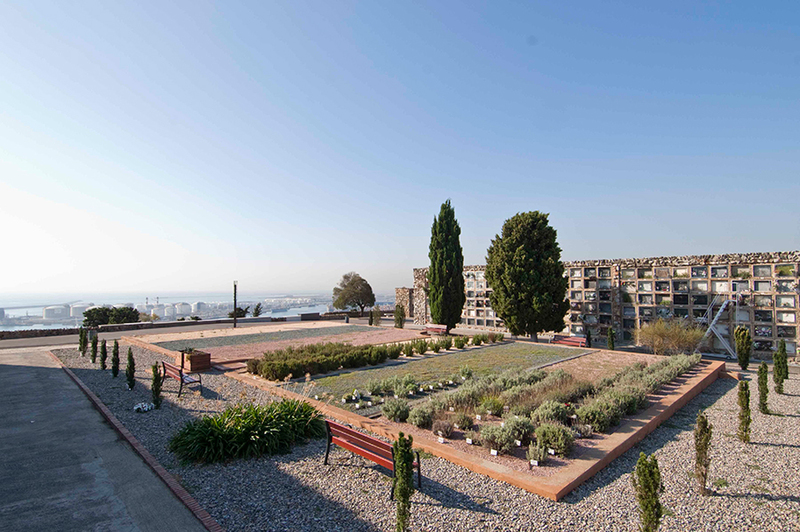 This garden occupies a privileged site in the cemetery, constructing a balcony over the sea, in which biodegradable urns can be buried beside a plant or family tree. The Family Tree allows the family to deposit a maximum of 5 biodegradable urns. Vertical grave with capacity for four unrs. 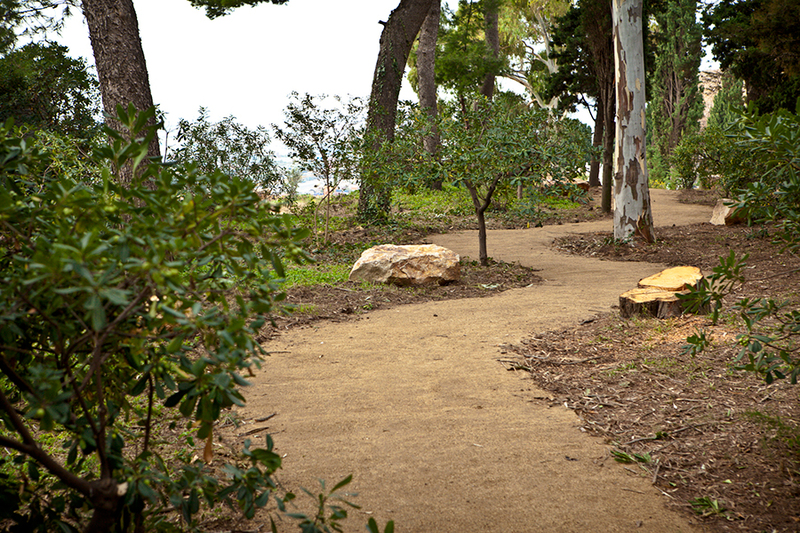 Location: Mediterranean Garden in the Cemetery of Montjuïc. Vertical grave with capacity for four urns. 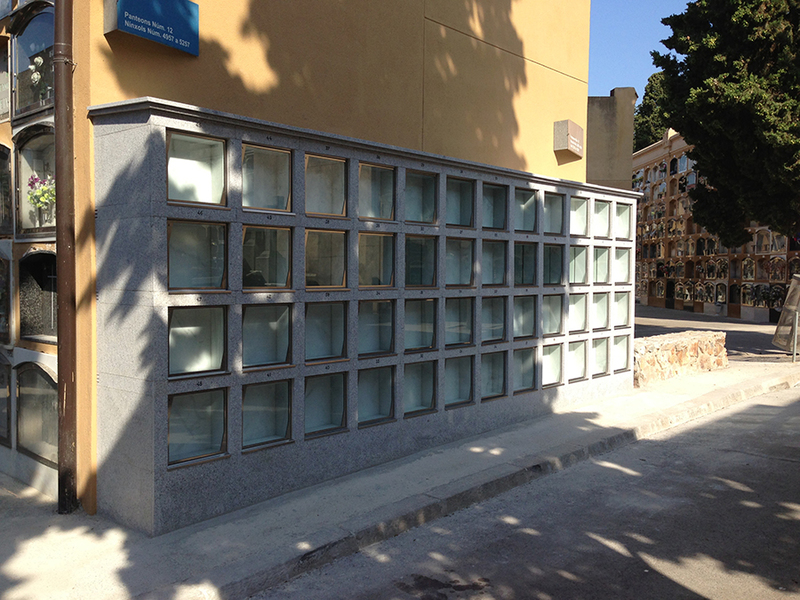 Vertical grave with capacity for four urns with a glass front.This type of niche is new in Spain. They are found in the cemeteries of Les Corts, Poblenou, Sant Andreu and Collserola. Grave with capacity for four urns. 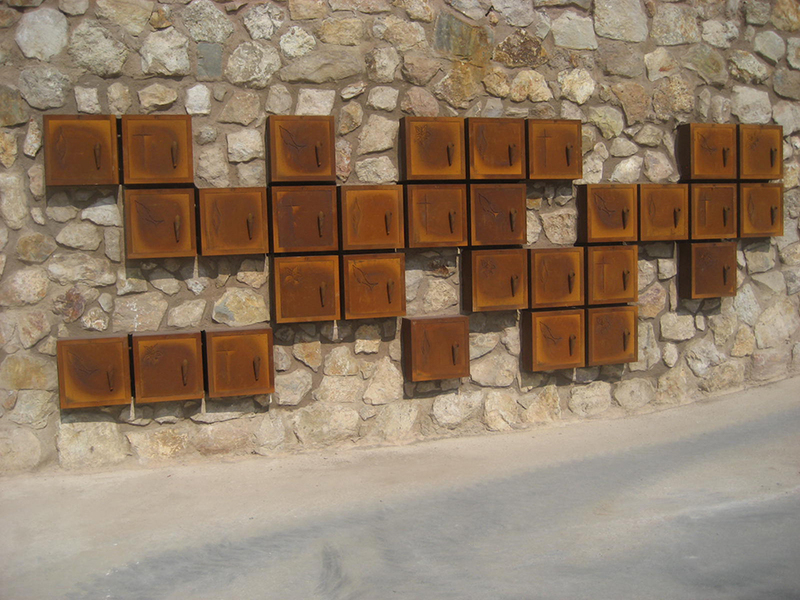 Corten is treated steel that gives the niche an air of elegance and modernity. Placed in a privileged part of the Jardin de la Mediterránea. Exterior, gravestone and headpiece made of white marble. 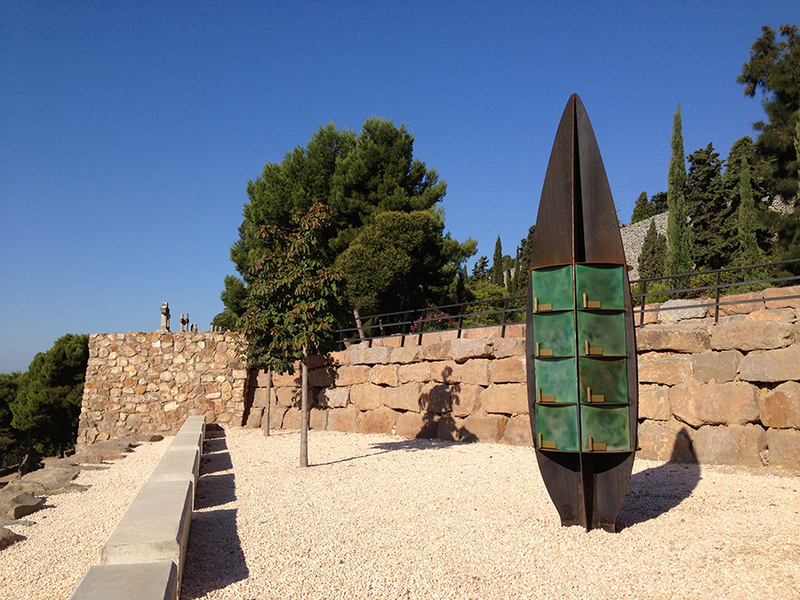 These columbaria are situated in a privileged position in the Meditarranean garden in the Montjuïc Cemetery.